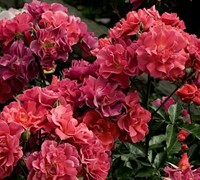 Cinco de Mayo Floribunda Rose is a conversation piece for sure! 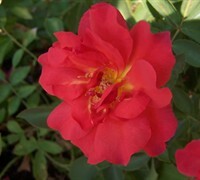 It produces giant clusters of 3.5 inch blooms in shades of red, orange, magenta, purple, smoke and more! What's more is the flowers have a fresh, apple scent. 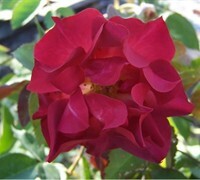 Perfect for low hedges, mass planting, specimen or in large containers. Light Requirements Full Sun, AM Sun a must! 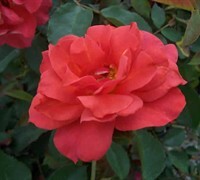 Special Notes: No other rose has this color of blooms!